What a lovely family! After the show, we met face to face with Janet while having Karen facebook live. These meetings are important to us so we can learn more about the wedding day. 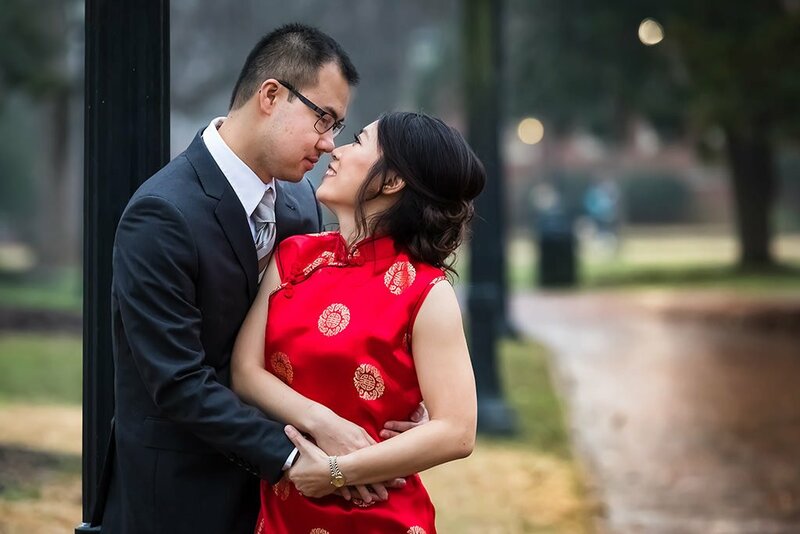 Karen and Edward are a successful young couple living their dream lives in Washington DC. 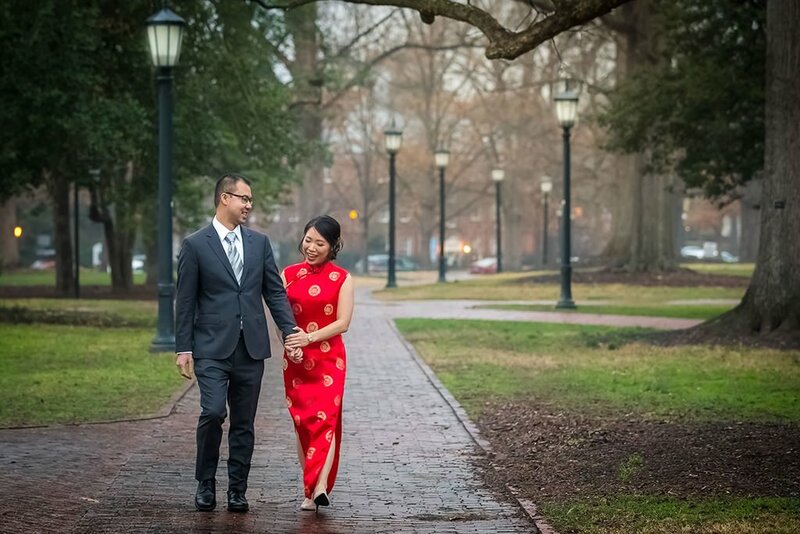 Once all the details were finalized we met for the first time to photograph their engagement session. 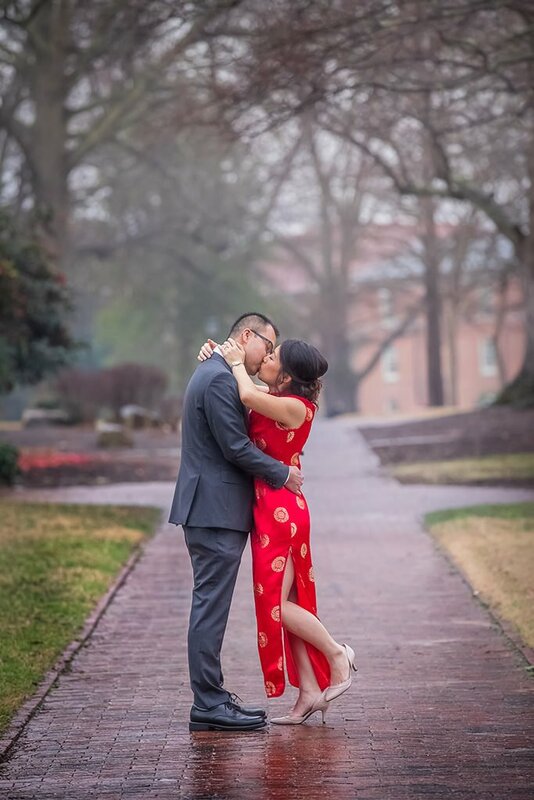 It was a very cold day here in Chapel Hill, NC. 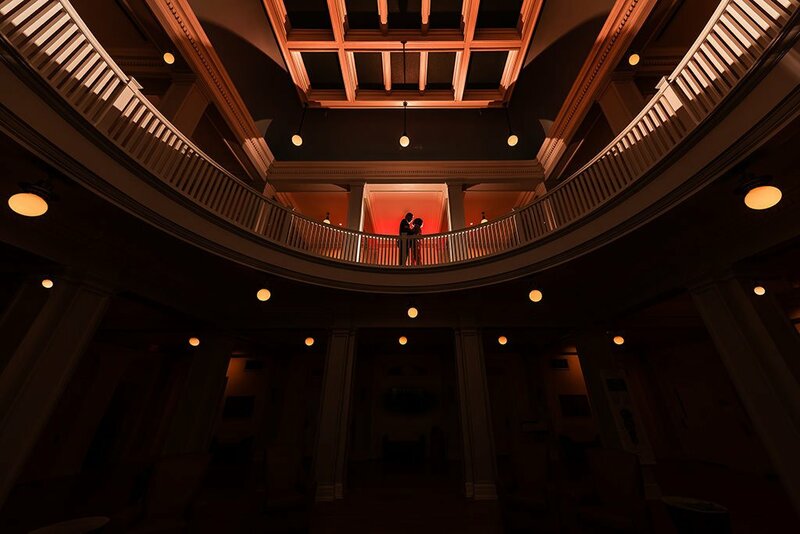 At first we had chosen an outside location, but because of the cold, we decided to move it inside and we chose the beautiful UNC Chapel Hill campus. 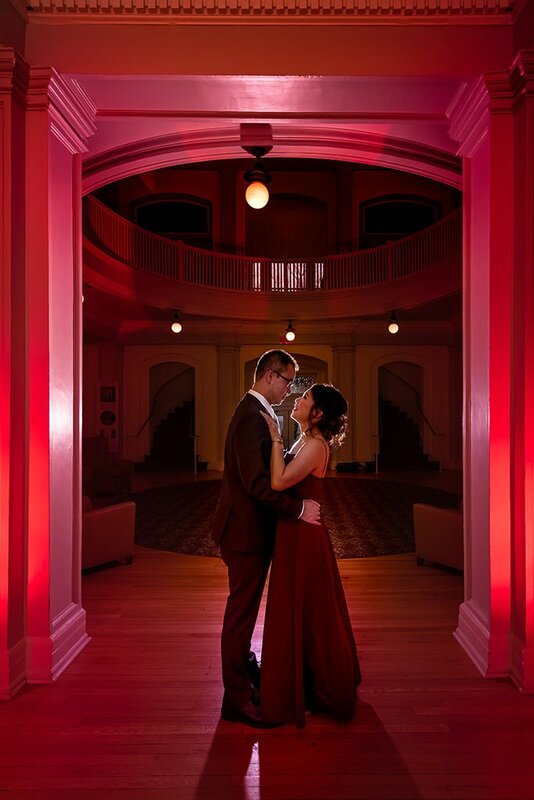 Being a wedding photographer we must be able to think fast on our feet, pivot and deal with adversities as they come. 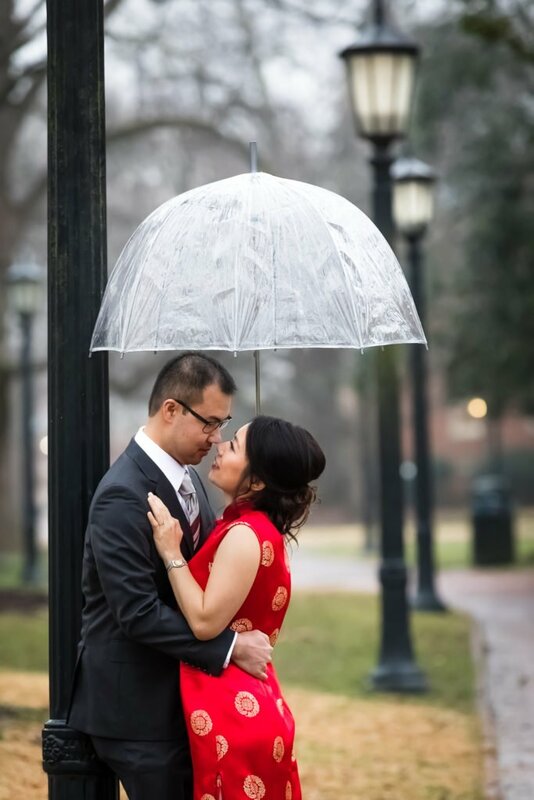 We shot most of the time inside to shield our couple from the cold and wet weather. Towards the end the rain gave us a little break and I was able to ‘convince’ Karen to go outside. I was missing the less formal images. 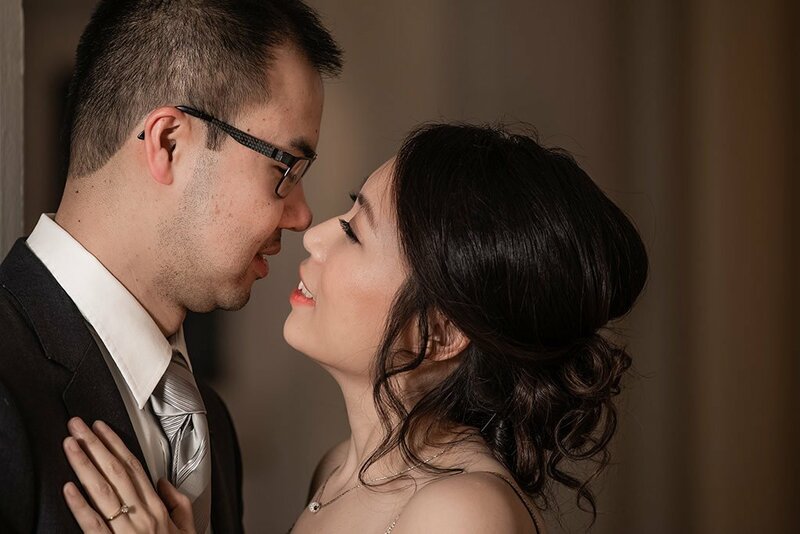 It was a good move because we were able to capture beautiful moments between they two. This has definitely been a challenging wedding to plan, Karen and Edward being far away. But Janet has been has taken a central role in helping with all the details. It’s so nice to see the family helping out with the wedding plans. For us it’s a great pleasure to meet the family before the big day. It gives us all an opportunity to get comfortable with each other. 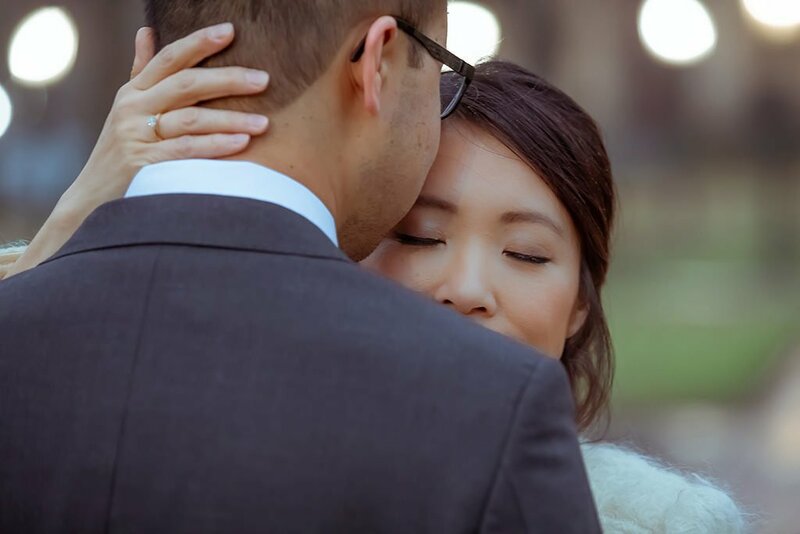 For the same reason, we highly encourage our couples to do an engagement session before their big day. It’s a great chance to work closer with your photographer, makeup artist and make sure everything is perfect beforehand.